For Londoners, this autumn welcomes a highly anticipated event: the Victoria and Albert Museum is unveiling its Fabric of India exhibition. 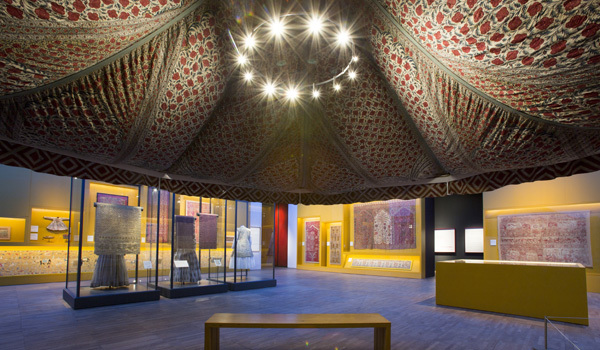 It’s the very first show of its kind, and is focusing on the rich history of textiles, fashion, and sartorial culture in India, spanning from the third century up to the present day. Held as part of the institution’s India Festival, from 5th October 2015 to 10th January 2016, the exhibition is an extraordinary opportunity for culture vultures to discover more about this vibrant and beautiful tradition. Alongside the exhibition, we’ve also compiled our own Fabric of India tour of the Subcontinent, which will invite visitors to visit weavers’ villages, go shopping with a Mumbai fashion guru, and walk away with some colourful souvenirs of their own. Read on for more about the exhibition – plus details on the experiences that visiting textile lovers shouldn’t miss. 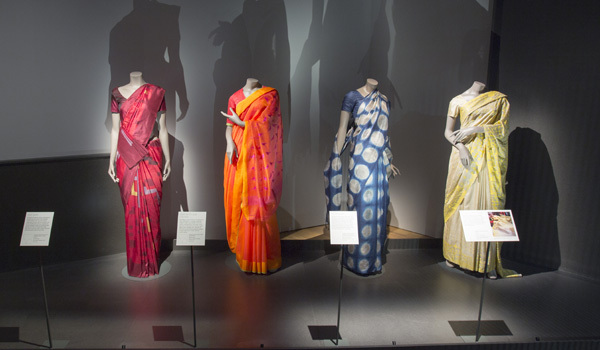 Whether you’re an expert or a casual admirer of Indian textiles, the collection at the V&A is one to see. Spanning more than 200 items, the exhibition features pieces created for fashion, for religious purposes, or to convey positions of power. From cloths spangled with jewelled beetle wings and geometric wall-hangings to an enormous fabric tent used by a sultan and silk-woven Hindu narrative cloths, the array of rare artefacts aren’t just engaging for their surface appeal (though they are visually stunning), but they’re also culturally significant, emblematic of India’s complex, multi-faceted history. Moving from rural artisans through the British-led industrial era and up to the present day, the diversity on display is extraordinary. 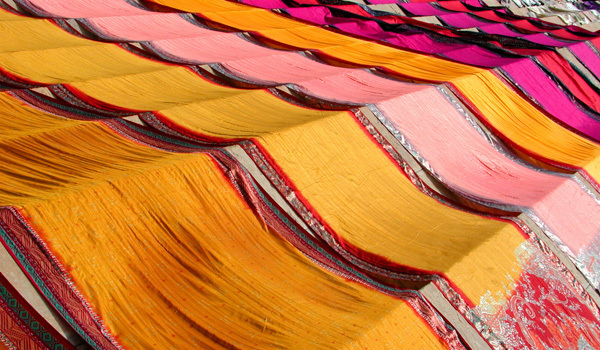 If you’re tempted to go straight to the source after your museum wanderings, we’re here to tempt further: we’ve put together our own Fabric of India-inspired travel itinerary that will showcase the richness of India’s textile tradition in locations around the Subcontinent. The tour begins in Mumbai. After a spot of sightseeing, guests are invited to meet the celebrated Monica Vaziralli, a personal shopper, stylist, and general fashion guru. She’ll provide guidance to visitors and steer them in the direction of eminent local designers and their studios spaces, where opulent, hand-woven pieces can be found. 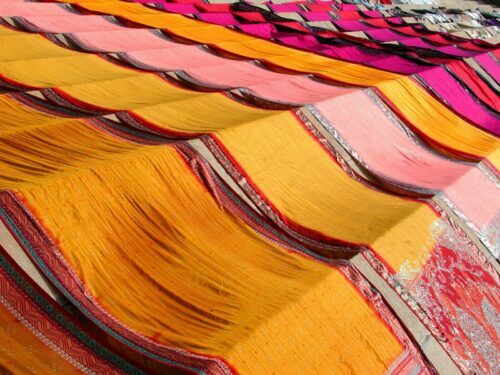 From there, it’s a transfer to Jaipur to discover more about the history of Indian textiles in the Pink City. 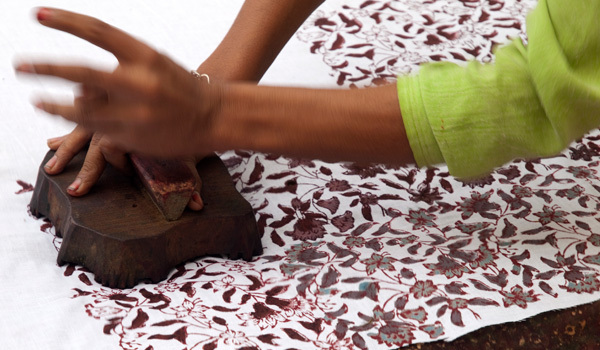 Visitors will go on a day trip to discover the block printed fabrics of Sanganer, before exploring the Amber Fort and the textile-devoted Anokhi Museum, located within a historic haveli. Landmarks like the City Palace and Hawa Mahal should also tempt, though visitors should be sure to save time for shopping, where prints, jewellery, and brassware are easily found alongside one-of-a-kind fabrics. Then, it’s on to Varanasi – a historic silk-weaving capital famous across India for its fine products. Here, guests will enjoy a personal tour of the city’s weavers’ village, where these extraordinary textiles have long been produced. Look for traditional patterns coloured with a dash of contemporary style for an on-trend look. 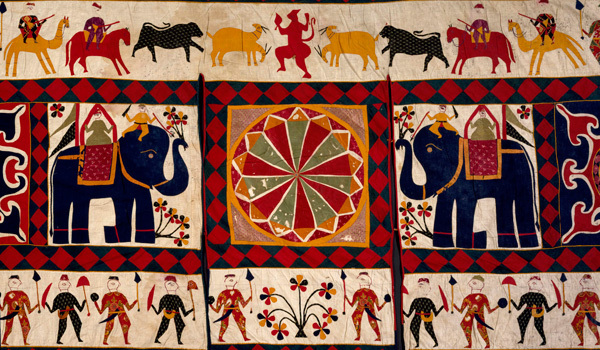 Don’t hesitate, then – now’s the time to finally discover more about the colourful history of Indian textiles. Begin with your museum visit, and consider your next trip to the Subcontinent…there’s no better way to get acquainted with the fabric of India.